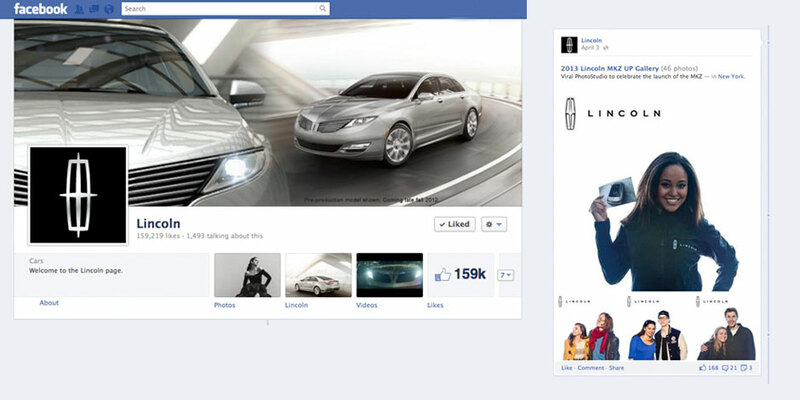 How to get the word out about the launch of the sleek, new Lincoln MKZ during the New York Auto Show. A SWIG Viral PhotoStudio was set up in the Meatpacking District of NYC. The lure of flashbulbs and instant photos brought in foot traffic and enabled Lincoln reps to extoll the benefits of the new MKZ to guests. 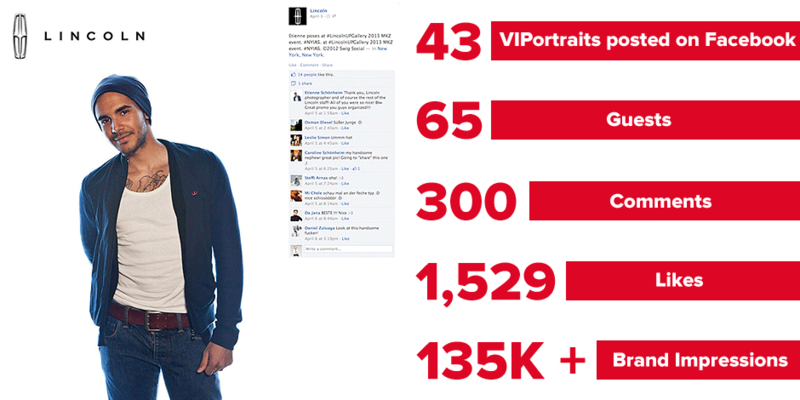 With only 46 images of 65 guests, the Viral PhotoStudio attracted over 135,000 impressions on Lincoln’s Facebook page, and 300 Likes that equaled over 1500 engaged users.